The project is led by two committees. The Management Committee, which meets monthly, is made up of neighborhood and public works staff, and provides day-to-day leadership of the project. 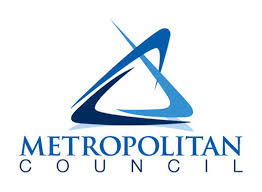 The Steering Committee meets every two months, and its elected and appointed officials from the Minnesota Legislature, the Metropolitan Council, Hennepin County, and the City of Minneapolis provide high-level guidance for the project. At the end of the two-year process, the committees will publish a report describing preferred improvements, possible funding sources, and a feasible schedule for construction. We need your feedback! Let us know what you think by taking the survey below. Seward and the West Bank are neighborhoods just southeast of downtown Minneapolis. They are bounded on the west by Hiawatha Avenue and I-35 W, on the northeast by the Mississippi River, and on the south by the Midtown Greenway. The neighborhoods are home to diverse communities and institutions. 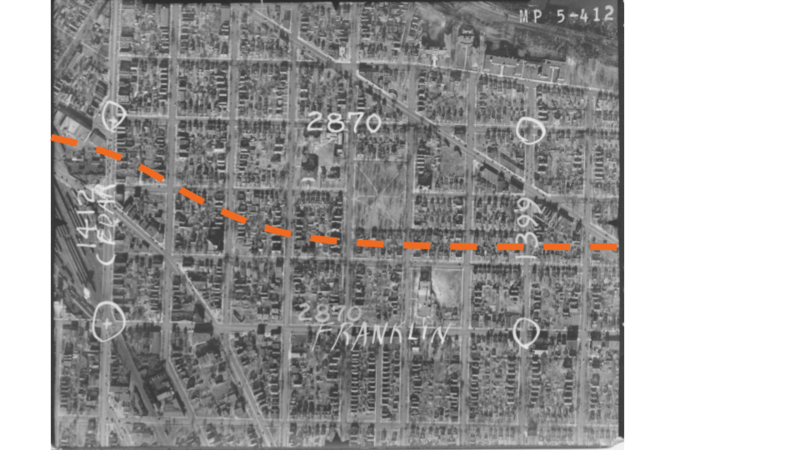 This historical photo shows that before I-94, Seward and the West Bank were seamlessly connected. 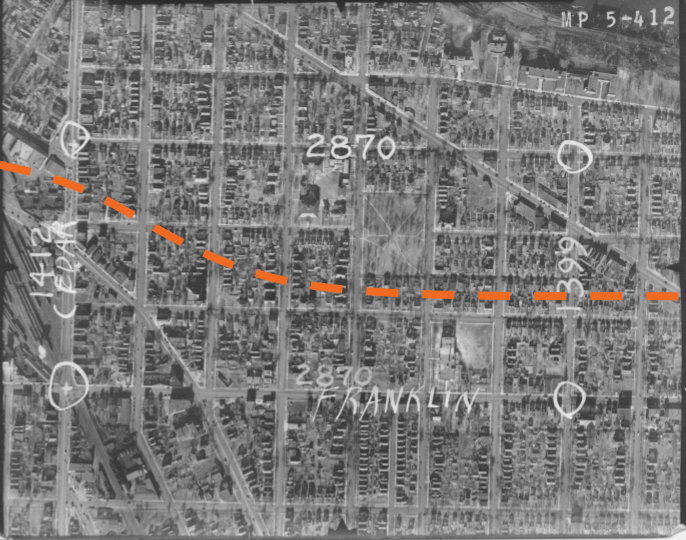 The orange dotted line represents where I-94 was built. We are engaging with the community as we identify problems and evaluate possible solutions. Recently, we talked to neighbors and visitors at Open Streets on Franklin and conducted a walkability audit starting at Seward Tower West. Many neighbors are enthusiastic about planning safer streets, and we are working with our consultants to develop conceptual designs of improvements. If you'd like to receive e-mail updates about the project, or invitations to future community engagement events, send a message to Scott Shaffer.